There are lots of things you think about inflammation and one of the things you have to understand first and foremost is that you don’t always have to prevent inflammation. I mean this is a common thing. Runners think that inflammation is bad. We hear all this stuff about inflammation, about how it causes chronic Achilles tendon problems and chronic disease. But inflammation is a normal consequence of training. You run, you train and when you do, you get tissue damage. That’s part of the process. You damage the muscles, you get little micro-tears and then your body repairs them and you get stronger.You don’t get stronger when you run, you get stronger when you rest. So today we’re going to talk about some basic guidelines about inflammation management. You do have to manage inflammation, if you get too much inflammation it turns into a problem. The first thing to understand is like I said not all inflammation is bad. Inflammation is just the first phase of healing. Now excess inflammation, that’s a different. That can be harmful. So it’s like this guy is training and he’s ramping up and he gets an accumulation of inflammation in one joint and it doesn’t calm down enough before he does his next workout and it irritates and it continues to inflame. It continues to get worse. The other thing is chronic inflammation that’s a completely different animal. Chronic inflammation it is detrimental. That’s why they’re so many books on anti-inflammatory diets and all these things about managing chronic inflammation so you do not want to ignore an inflammatory response. It seems like it’s getting out of control. That’s on the the reasons people why people take Ibuprofen or a non-steroidal anti-inflammatories when they’re training. Sometimes it’s okay and sometimes it’s not. The truth is I actually have ibuprofen in my special needs bags when I do Ironman races. I actually do have some that I do carry with me. So it’s not that I don’t ever do ibuprofen. You just have to understand what’s actually best. Also I really think that you should get to know what I do. I will tell you when I will use it and when I won’t and then I will talk about some other things like when is icing better that heat and what I really do now. The thing is, is that when you’re racing if you have a ton of pain like when I get off the bike it feels like somebody hitting me in the neck with a bat for the first six miles, I’ll take two Ibuprofen. But that’s it, I don’t take it all race long. I don’t think it’s a good thing to use because I know that it can cause kidney damage. It’s not good for you if you get kidney damage and it can also delay the healing by inhibiting the repair of those tissues when you have musculoskeletal injury even if it’s something that is associated with training. I used to do an ice bath after any long run. I don’t always do that. I only do it when it’s really hard. That’s one of the things I have shifted a little bit. And one of things that’s most important is the focus on non-toxic healthy alternatives to promote the body’s healing process instead of just trying to shut off a normal inflammatory process. So that’s a big key. One of things I do is I really like to focus on antioxidants and having a wide variety of helping building blocks going into my system to rebuild tissue without developing excess inflammation. So routinely when I’m in heavy Ironman training I do five or six meals a day minimum. I have lots of antioxidants in my diet to, I do lots of dark leafy green vegetables, lots of dark fruits, I have collagen in my diet, I take nutritional supplements as well. And I know this is like preaching to the choir but I mean I avoid processed foods, things with pesticides and other obvious poison. You have to remember that all those things that contribute to global inflammation in your system, they can also kind of take away your body’s capacity for doing all the rest of the inflammations. So you’re going to have to have some inflammation. You just don’t want to have excess inflammation and you want to limit those sources of excess inflammation if you can. My preference is to use things like motion, moving around, doing bike ride after hard rides, using elevation and compression to help mobilize inflammatory so it doesn’t accumulate my feet, my ankles, the area around my Achilles tendon. My preferences is to always look for anything that will promote the natural healing process more than just trying to stop what’s a normal healing process. I think that’s the thing is we become a habituated to trying to just ice everything like crazy right after workout to prevent inflammation, to try to take Ibuprofen or some sort of other non-steroidal anti-inflammatory drug to be anti-inflammation. You have to realize that your diet is the ultimate nutritional supplement. But even if you’re eating lots of dark leafy green vegetables, dark fruits, healthy proteins, healthy fats and probiotics that support your digestive microbiome, well there’s a lot more that you can do as well. You have to really consider all these things because every little bit helps. It’s just like your training, you go out and you do your long runs, you do your speed work but the people that are competing with you, they’re also doing that stuff. The people that are beating you are the ones that are actually making the minute adjustments, the fine tuning and really capitalize in getting that extra little bit out of their training by recovering harder in a sense. So I think that I eat a really healthy diet but I know I have to be missing some micronutrients, some trace minerals or some other central components that are absolutely required to rebuilt tissue after workout as quickly as possible. I also know that it’s possible to use traditional supplements in particular those that promote things like to help cells communicate better and to facilitate the rebuilding process. I actually believe really and truly augment my diet, augment my frequency of intake of food and help me recover after harder workouts and that’s the whole name of the game here. 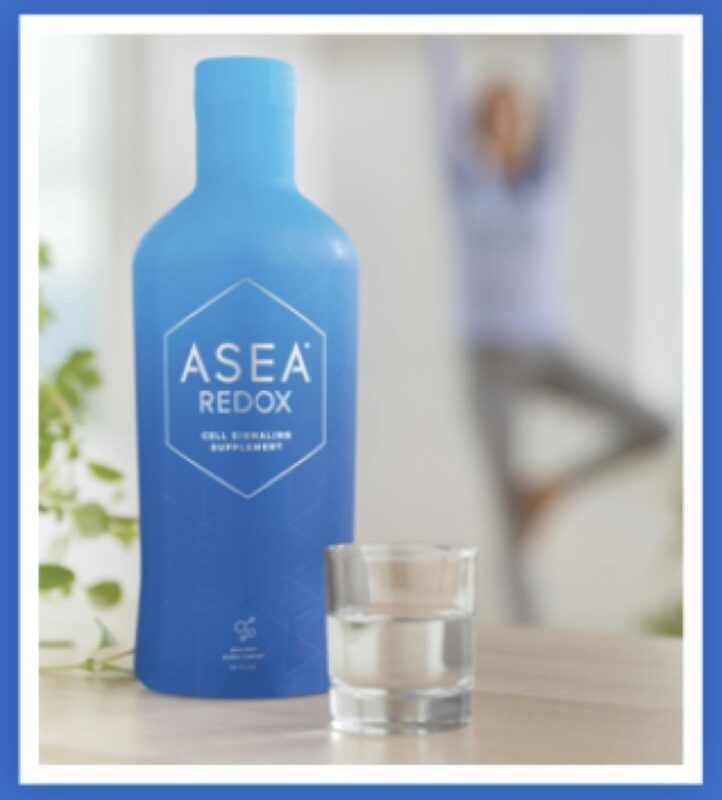 One of the key supplement that I use is a thing called ASEA Redox Cell Signaling supplement and what that does is basically to make a huge difference and a huge reduction in the amount of post workout soreness that I get and it’s also reduce the amount of time it takes me to recover after my really hard workouts like long runs and speed workout. I have been using that for several months now and it has made a huge difference for me. I’ve noticed that it really does decrease the amount of soreness that was the first thing I noticed and I really noticed that it has made a big difference in the amount of capacity to train and effectively recover. That’s a whole name of the game here when people get injured, the deal is they have not fully recovered. That’s the bottom line here. You beat up one structure a little too much over and over, it doesn’t heal completely then you do another hard workout and you beat it up again and then you’re in trouble. I know our tendency as athletes is to just start to look to things like non-steroidal anti-inflammatory drugs. Ibuprofen, Naproxen or even some more natural anti-inflammatories like turmeric but they’re always used as a way to combat and stop inflammation and again I know that chronic inflammation is bad. I know that accumulation of inflammation within the tissues is also bad. But I really think it’s important, it’s critical that you try to focus on things that can promote the actual rebuilding of tissue and promote the healing process and in essence you want to kind of maintain these healthy forms of inflammation and not just stop all the inflammation. You don’t want to just put a halt the first phase of wound healing, it just wouldn’t make sense. So you do not want to try to just squash this normal healing process that we refer to as inflammation. Again you don’t want chronic inflammation. So if something is always hurting you, you need to deal with that. But if you’re getting inflammation that crops up and you’re not dealing with it adequately and it’s leading into an over training injury, that’s a problem. That’s really the key here. You have to look for the holes in your assembly line of rebuilding your tissue, of preparing tissue after your hard workouts. You have to figure out what ingredients are missing. Again the key isn’t to stop all the inflammation, the key here is to heal as fast as possible through the inflammatory process and then in the event that you get any kind of accumulation of inflammatory fluid you need to elevate, you need to use compression socks, you need to do whatever it is to get that inflammatory fluid out so that you’re not subjecting your tissues to those degradative enzymes that are in the inflammatory fluid that can be damaged to you and you do not want to get stuck in a cycle of chronic inflammation. That’s really crucial. You have to really try to figure out how cannot just eliminate the inflammation but how you can focus on rebuilding more. Focus on some solution instead of trying to eliminate the problem. Inflammation really can be your friend but it’s a piece that has to be harnessed and it’s really worth evaluating all the components of your inflammation trying to figure out why you’re getting inflammation and try to figure out where it is that you can improve in terms of reducing the global inflammation within your system. I’m just saying that there’s always some way to improve and your diet improve your intake of foods that can be less inflammatory. If you take the time to do that, if you really evaluate your diet, you really figured out what nutritional supplements could help you recover faster, it will help you train more. 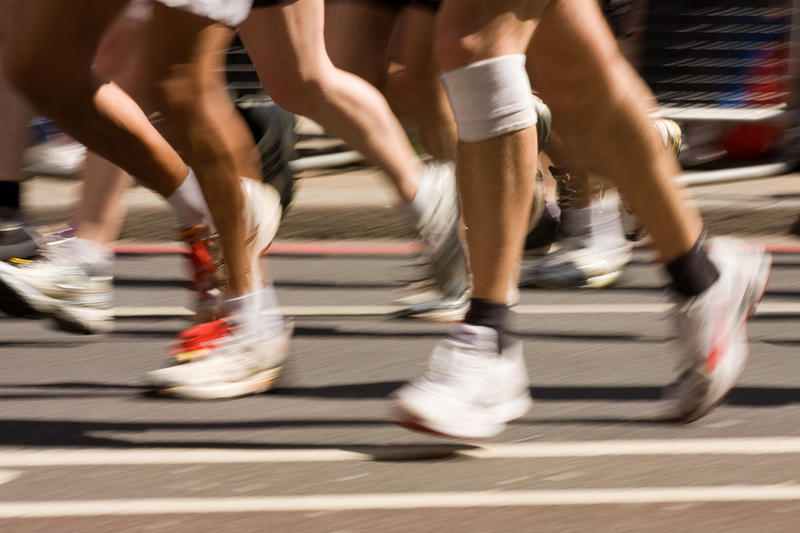 I will help you recover faster and it’ll help you get back to running sooner.